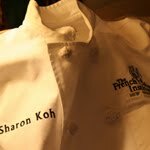 Sweet Kitchen: How Desserts Get Its Bad Rep.
We made 3 cakes today - Chocolate Ganache Cake, Coffee Butter Cream Dacquoise and Angel Food Cake. Total (key) ingredients used - 470ml cream, 450g chocolate, 860g sugar, 615g butter. Granted that we have some left over buttercream and chocolate glaze, BUT, we indeed used a tremendous amount of butter, sugar, and chocolate! All those "bad" calories were worth it. 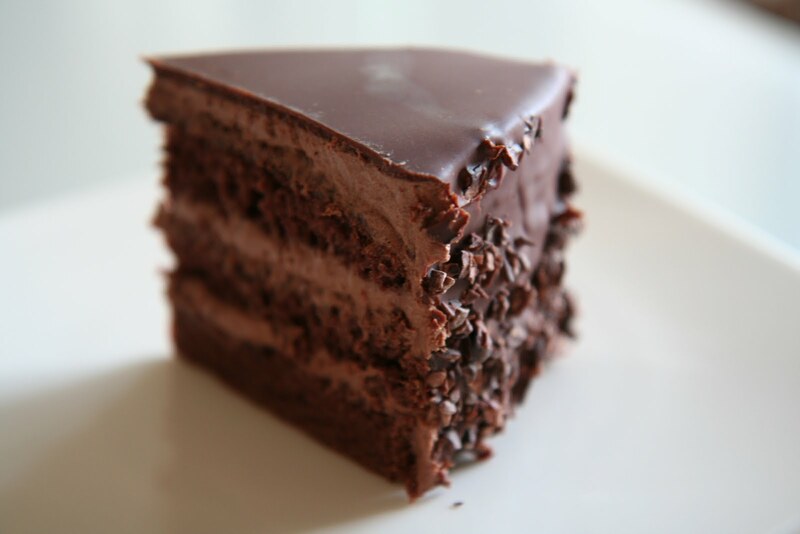 I'm having another piece of the Chocolate Ganache Cake at lunchtime. The crumbs at the bottom of the Chocolate Ganache were a nice touch and added texture too. I remember that from yesterday! 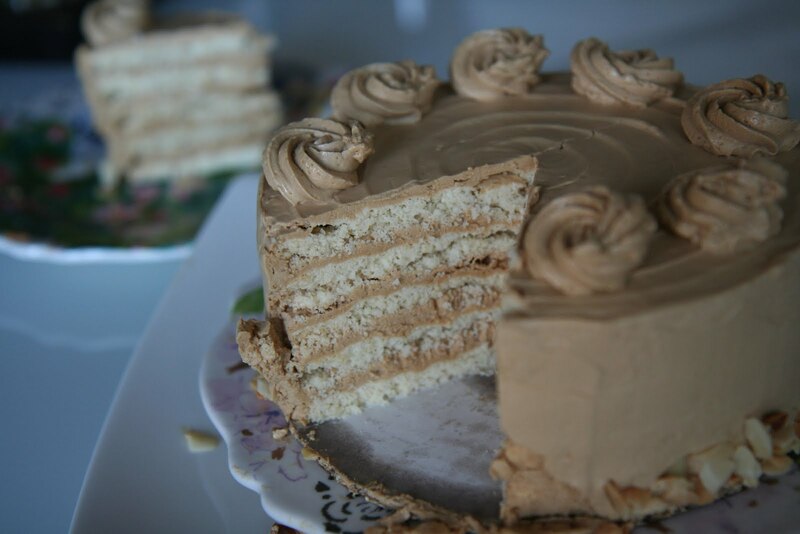 The Coffee Buttercream Dacquoise was delicious, but how did you manage to cut it? I have to eat it starting at the top layer. It was good!